" /> 2017 Range Rover SUV offers innovative capability and utility. When you think Range Rover you have to think capability. And the 2017 Range Rover does not disappoint! Whether you are driving through downtown traffic or taking a weekend jaunt to the Colorado mountains, you need to know your vehicle has the features to make your trip easy. 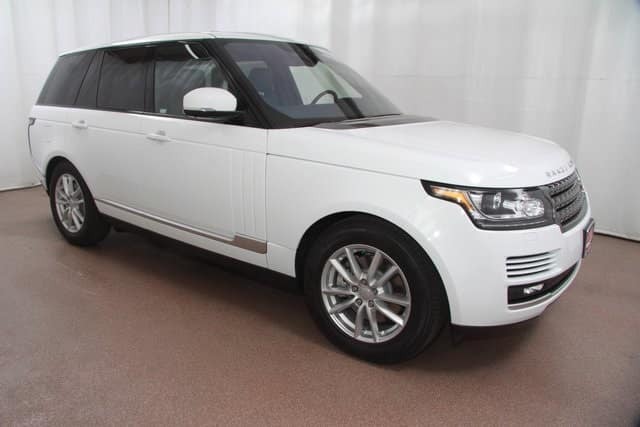 The Range Rover offers such features as Hill Descent Control, Electronic Suspension, and Terrain Response® 2. What does that mean for you? A more stable and solid ride no matter the road conditions. Terrain Response® 2 continually monitors driving conditions to adjust as needed. It can adjust the engine, transmission, differential, and chassis systems to provide optimized traction and drivability. Hill Descent Control helps maintain a consistent speed during hill descent. It applies brakes to each wheel individually as needed to increase control while you navigate through hills. Electronic Suspension uses four-corner air suspension to help with vehicle stability on rough terrains. It can change heights to provide an exceptional ride. The Range Rover can also lower by up to two inches to allow for easier exit and entry to the vehicle. Let the Range Rover experts at Land Rover Colorado Springs introduce you to these amazing features and all of the other exciting features that will make the 2017 Range Rover the best SUV for you. Stop by for a test drive today!